This package is available with additional taxi costs. 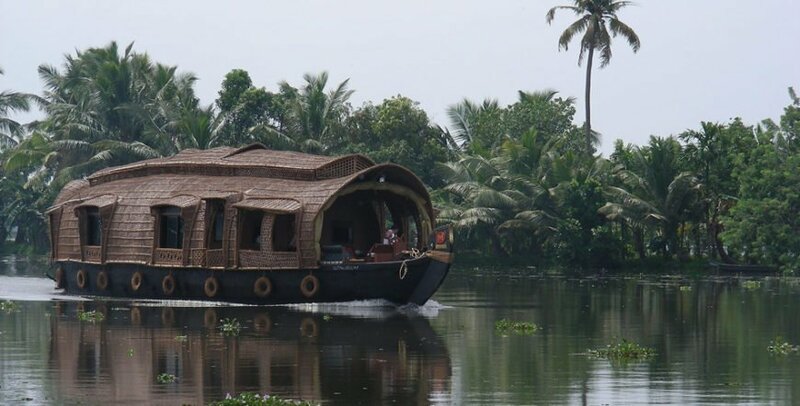 Check in Houseboat at 12:00 Hrs and houseboat make a trip through Punnamada River. This river is famous for Nehru Trophy Boat Race which is being conducted every year. Cruise through Punnamadakayal for 15 Mins. The boat enter SNDP Thod (Thod means canal) which is the smallest canal in this trip (width 30-35 mtrs). During this 1hr cruise, boat can stop some of the places and you can walk in the village to see and experience the village life. At the end of this canal the boat will stop for Lunch. 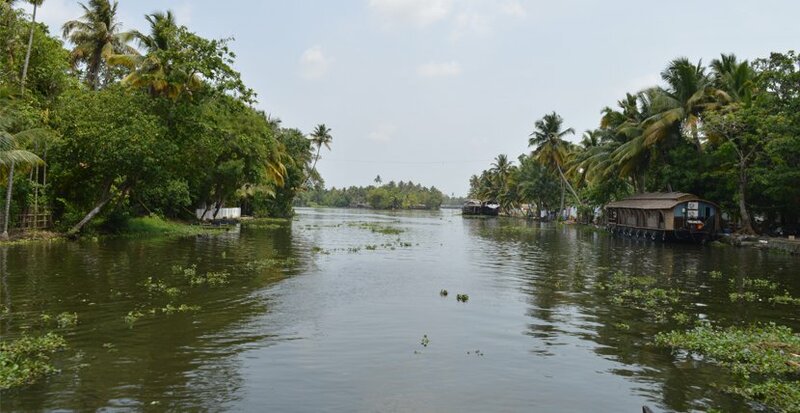 The trip starts after lunch and proceed to Munnattumugam – where three canals joints together making very attractive and beautiful place. The boat cruise through Kainakari , a beautiful village with green paddy fields. 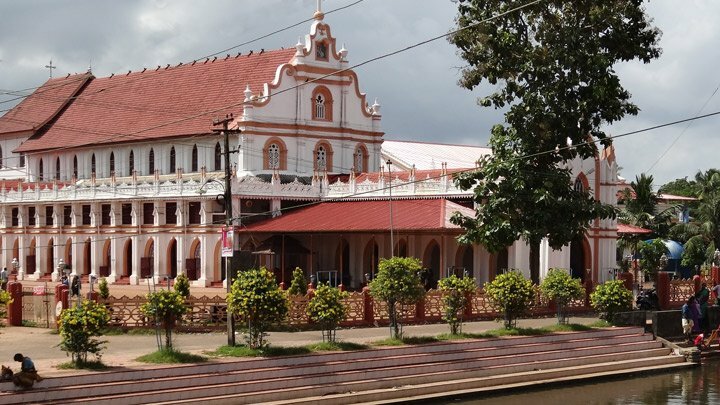 One can see chavera church – those interested can visit this church. 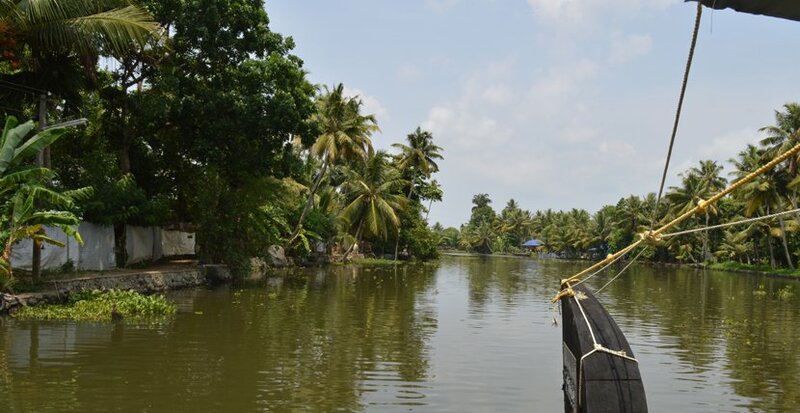 Boat makes a cruise through Irrmbanam Thod (this is also a small canal). 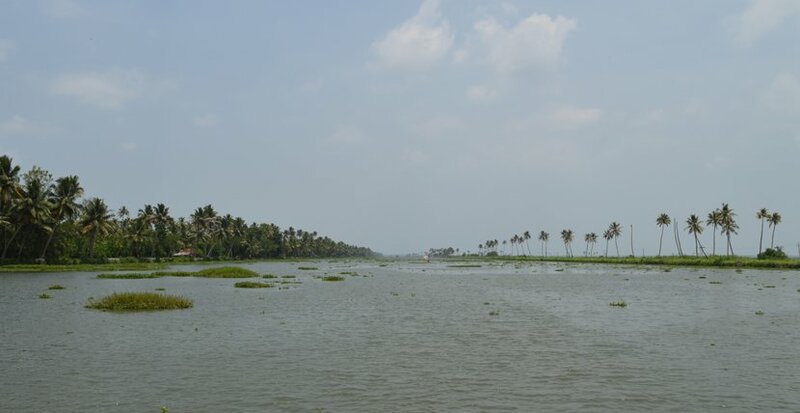 One can also see both side paddy filed, visit vembanadu lake. The boat makes a trip through R Block canal and at 17:30 Hrs it stop at H Block for night Stay. 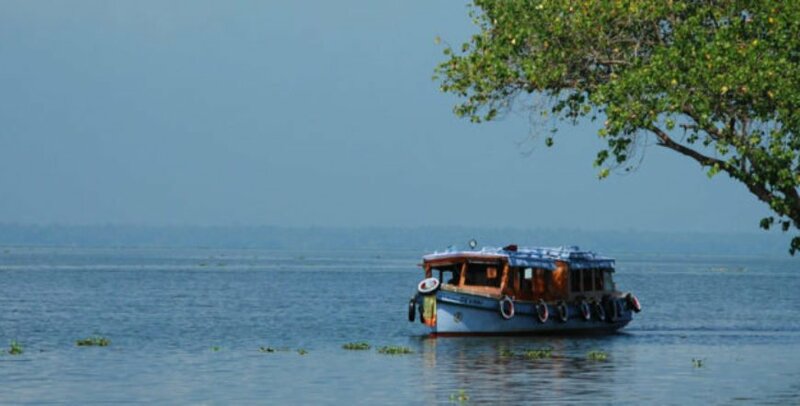 Morning trip starts at 8 A.M and departure for Alleppey Finishing point or Punnamada jetty. On the way one can see the vast vembanadu lake. Breakfast will be provided before check out at 09:00 Hrs. This programme is possible only if the guest check in at 12 P.M.
Paddy fields is available from Oct to Feb only. Small canals is only possible with one bed room or two bed room small boats. 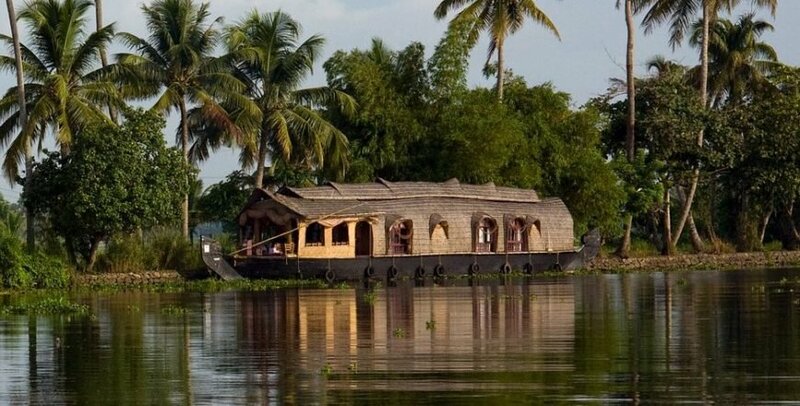 In case of 3/4/5 bed room houseboats which are big in size cannot do a trip through small canals. 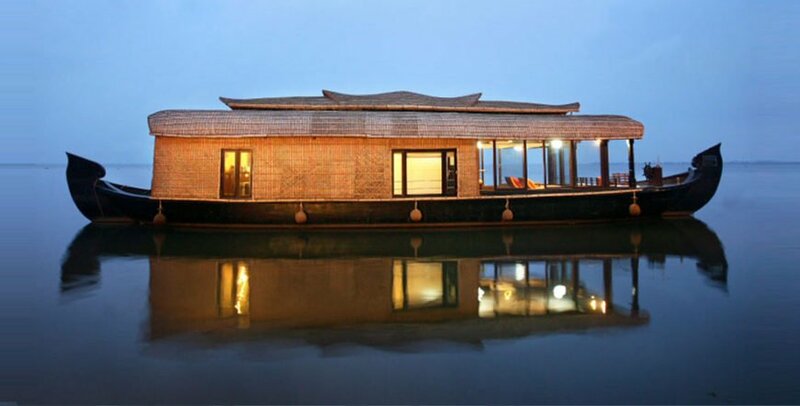 Houseboat as per details given above. All meals in Houseboat. Start with Lunch, evening coffee/tea and Snack, dinner and next day breakfast. Cruise time 1st day 12:00 Hrs to 17:30 Hrs with 1 Hr lunch break. Next day from 08:00 Hrs to 09:00 Hrs. Dosa or Idly with Sambar and Coconut Chutney.